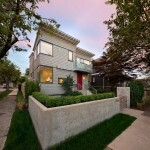 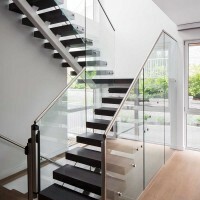 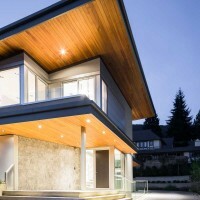 Architect Frits de Vries has designed the Mathers Avenue Residence, located in Vancouver, Canada. 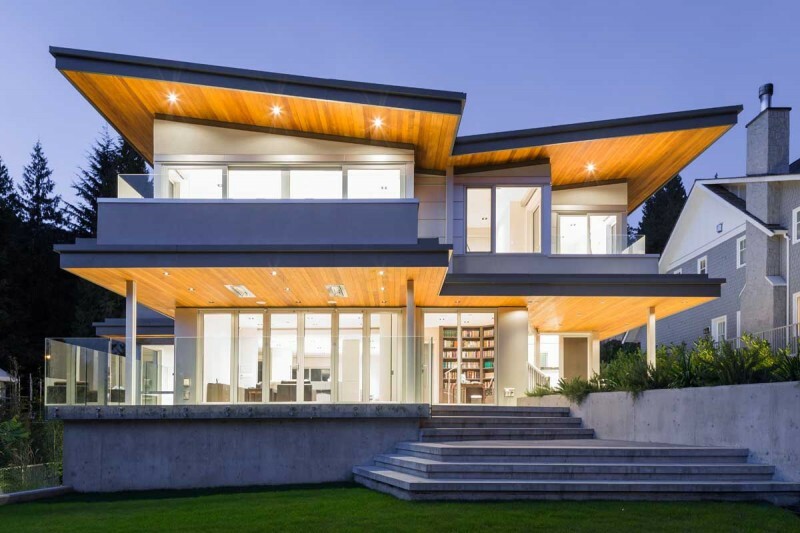 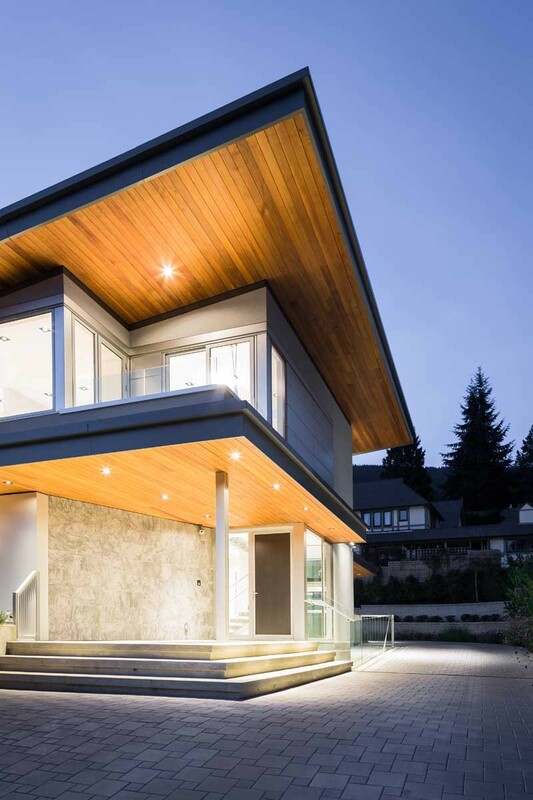 The crisp, looming roof lines highlight the beauty of the natural cedar soffits while sitting comfortably on a minimal material pallet of stucco, glass, detailed metal, concrete and featured marble slabs. 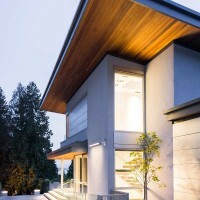 The grade has been manipulated to allow a walk-out side garden from the lower floor suite while preserving the garden relationship to the main floor living room, library and front entry. 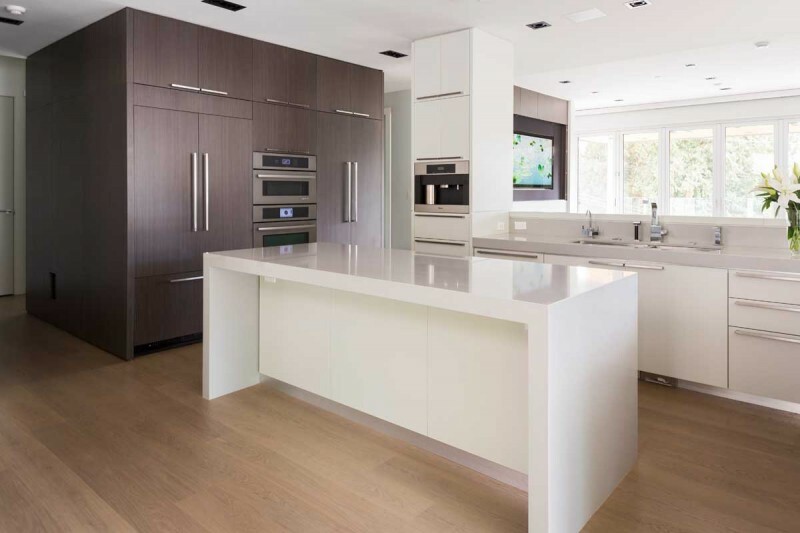 A centralized kitchen on the main level acts as the hub of daily conventions and social gatherings for this single-family house set on a generous south-sloping lot. 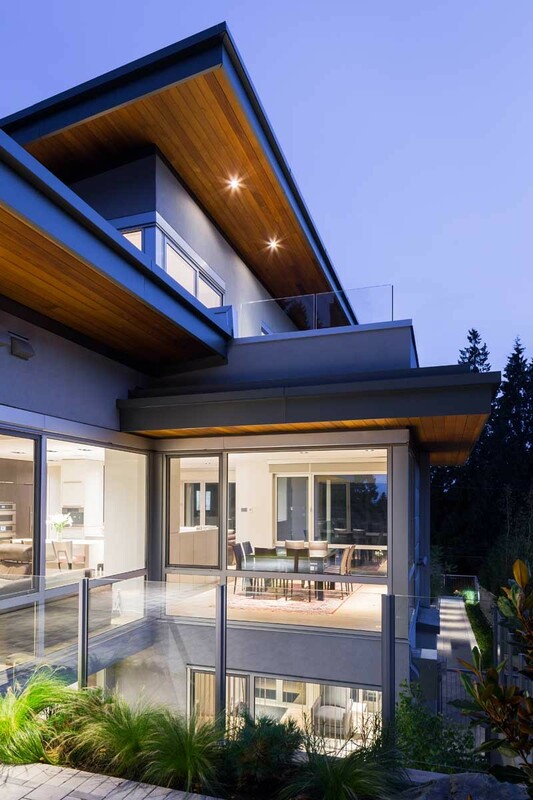 The main and upper floor spaces walk out to spacious patios and decks, ranging from private lounging areas to overlooking landscaped vistas. 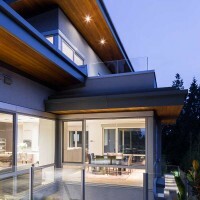 The 2-bedroom rental and nanny suite on the lower level also have their own dedicated walk out patios and sunken gardens, equal in light and spacial quality to the levels above.